If you're a regular reader, you'll know that April's A Year of Techniques technique was intarsia. 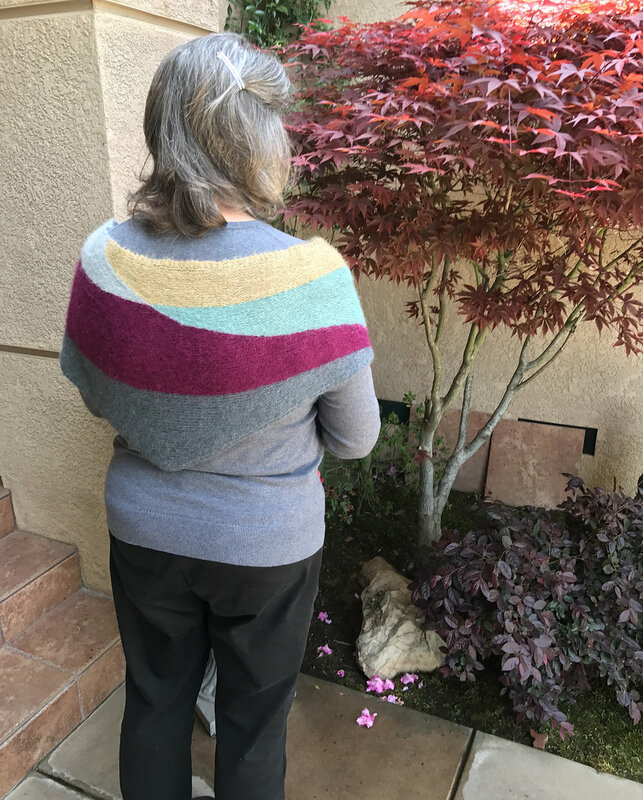 Most knitters taking part in our KAL followed Bristol Ivy's Brambling shawl pattern, but others took the technique and had a go at something else for an extra challenge, as you will see. Others have taken the pattern and gone with their own yarn choices and modifications. Then there are those who have tried something they've always wanted to. 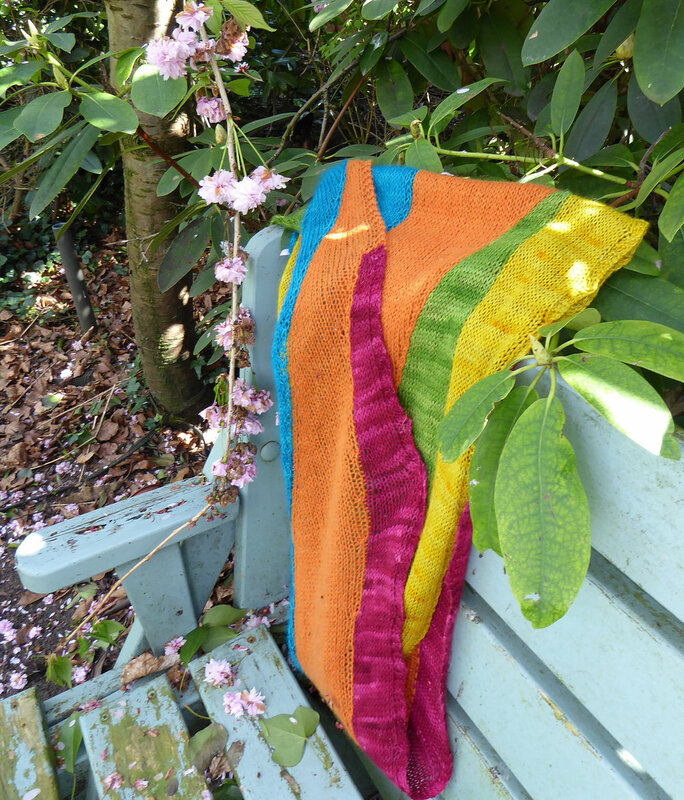 Maylin has made this Mondrian inspired version of Bristol Ivy's Harewood Hap, from The Book of Haps. Thank you to all of the knitters who kindly agreed to allow us to use their photos, and to all of the knitters, chatters and lurkers who have made this month's knitalong such a joy to be a part of. In particular, thank you to Debi (dbukko) for her extensive notes she shared on this particular pattern. The main spot prize for this month is an A5 Flock of Colourful Sheep notebook, with 3 other prizes of pattern downloads from Bristol Ivy's Ravelry store. The lucky winner of the notebook is BonnieB1227 and patterns were won by abigbee, bettybugg and annaksimpson. The tutorials and pattern for May's technique will be released later on this week. The suggested yarn is CoopKnits Socks Yeah! in shades Ammolite (102), Danburite (105) and Kunzite (106). The needles for May are 2.25mm double-pointed needles (you can switch to circulars with magic loop but some dpns would be helpful). And the gauge: 32 sts and 50 rounds to 10cm 4in over plain stocking stitch using 2.25mm needles, after washing and blocking. So stand by your inbox and get ready for another fun and interesting knit!